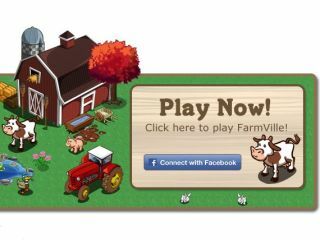 FarmVille developer and Facebook gaming darlings Zynga are looking to patent a new virtual currency, according to a new patent application. Zynga has made an application for a patent entitled, 'Virtual Playing Chips in a Multiuser Online Game Network,' which relates to a server receiving a request to buy virtual in-game currency from a player. These virtual credits are planned to be 'non-redeemable' and will only be allowed to be used within a particular game world, according to the details in the patent application, made back in March 2010. Zynga chief Mark Pincus is named in the patent application as one of the inventors of the concept for in-game virtual cash. Zynga sued a website called Playerauctions.com earlier this year, for attempting to sell Mafia Wars items for real-world cash, alleging that the company was infringing its copyright and trademarks by so doing. Zynga also recently signed an agreement to use Facebook Credits for the next five years, from which Zuckerberg and co. take a healthy 30 per cent cut. You can see the full USPTO filing online here.